The ritual of a morning cup of tea is reflected in Tea Time. 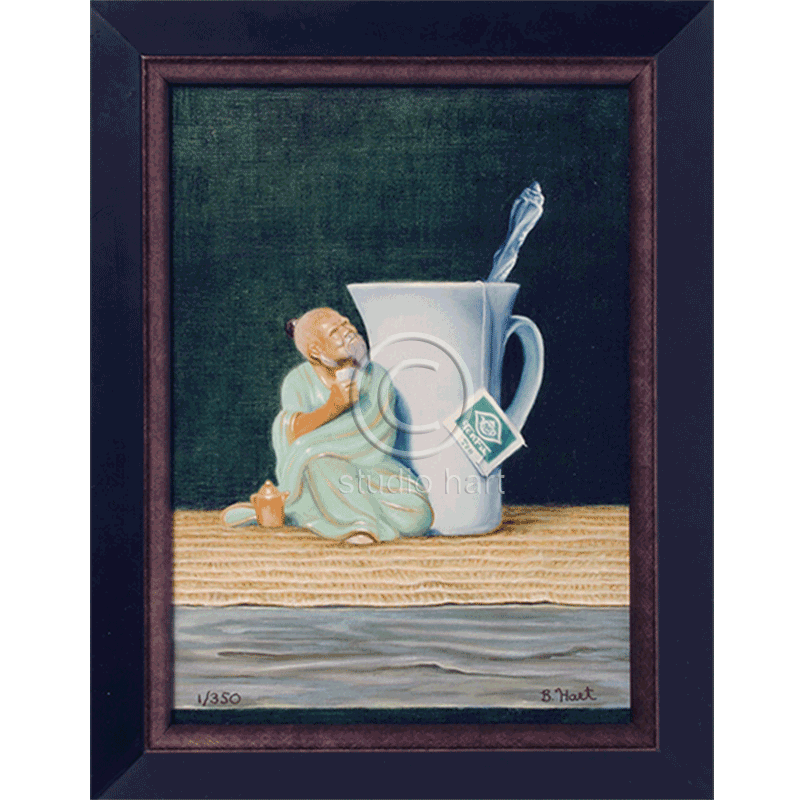 It was a labor of love to capture the detail of the Asian figurine and the tea bag. I can almost imagine that I am sharing a cup of tea with him. My very first painting in the Asian series. Makes a great companion piece to Slice of Life Force. Materials: Giclee print on canvas, mounted on board. Solid wood black frame with gold highlights. Size: Canvas 8×10″. Framed 10×12″.